Celebrity makeup artist and the organic beauty mogul behind RMS Beauty, Rose-Marie Swift (above) has been a make-up artist for over 35 years, so when I was given the chance to get up close and personal with her a few weeks’ ago I was beyond excited. 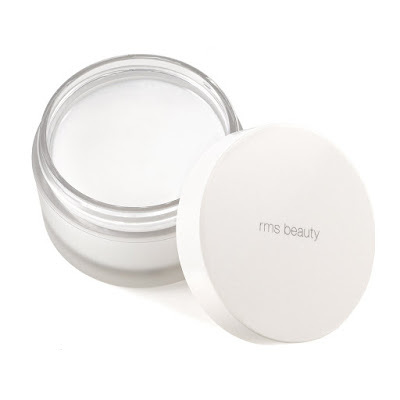 When I asked her what she would recommend to someone who has never used RMS Beauty before, she said “the first step is learning how to take it all off, and that’s with my RMS Beauty Raw Coconut Oil Cream. This can honestly be called the best makeup remover ever”. RMS Beauty 'sCoconut oil is harvested fresh for us using a new and modern processing technique making it superior over your everyday store bought coconut oil. It removes even the most stubborn mascara with ease, and the multitasking product can also be used as a facial cleanser and skin moisturiser… and even a deodorant! Coconut oil is considered the healthiest oil on earth for its high levels of lauric acid, which is rarely found in nature. Lauric acid is what gives coconut oil its antibacterial, antifungal and antimicrobial properties, making this all-in-one product suitable for even the most blemish prone skin. The natural antioxidant is 100 per cent pure, raw and unrefined, thereby naturally protecting one's skin against free radical damage and premature ageing. “When Angelina Jolie was filming ‘Maleficent’ her skin was reacting really badly to all of the heavy makeup she was wearing and the chemicals required to get it off,” Rose-Marie told me, “so I gave her a pot of this and it worked straight away. You just apply a minimal amount and work the cream gently into your skin, then remove with a soft cloth.” Just like that. And if it’s good enough for Angelina, it’s definitely good enough for me. At just $28.00 a pot it's definitely good enough for you too, and available now from Mecca Beauty here.